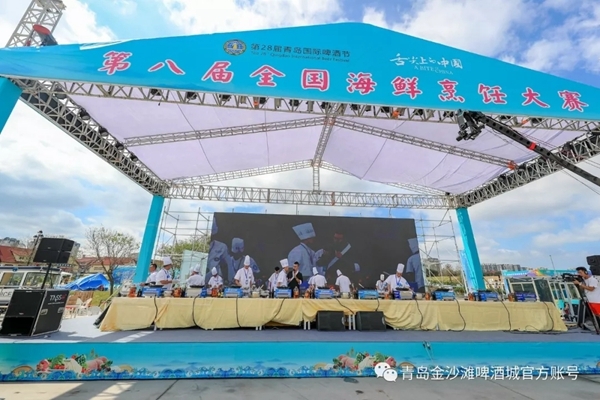 The Eighth National Competition for Seafood Cooking Skills was held at the East Music Square at the Golden Beach Beer City in Qingdao, Shandong province, on Aug 21. 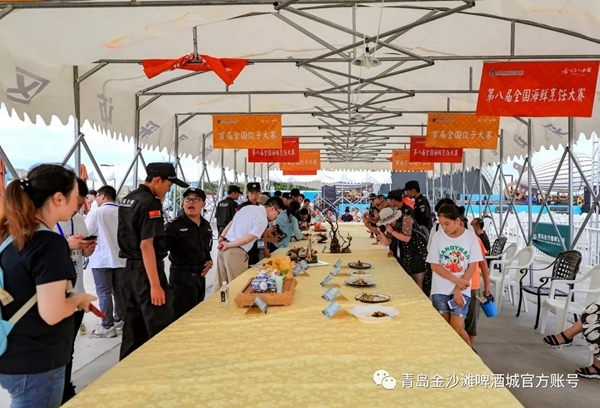 Held every two years, the competition was jointly organized by Huangdao Development Group and the China Cuisine Association this year as a highlight of the cuisine activities during the 2018 Qingdao International Beer Festival. It attracted more than 260 chefs from star-rated hotels, famous seafood restaurants and popular seafood stores in 19 provinces, autonomous regions and municipalities to take part. Seven experienced chefs with national first-grade judge qualifications, from coastal regions such as Fujian, Shanghai, Liaoning and Shandong were invited to be the judges of the competition. Competitors were required to cook two seafood dishes within 60 minutes, after which judges would give their evaluations on the spot. 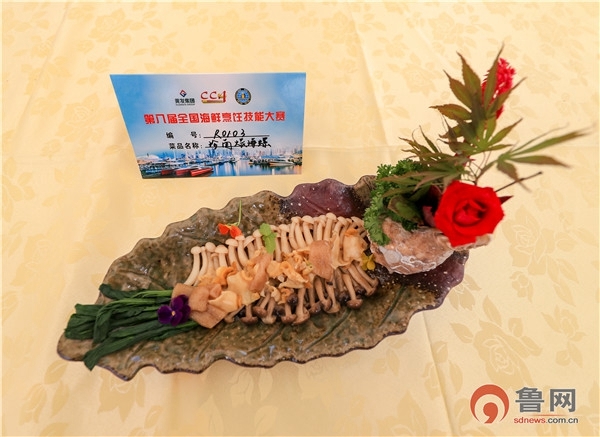 Gao Bingyi, chief judge and vice-president of China Cuisine Association, said that compared with previous competitions, this year's competitors excelled at preserving the original taste of the seafood, which greatly impressed the panel of judges and visitors. Perhaps unsurprisingly, Qingdao elements shone through the competition. As well as half of the competitors coming from Qingdao, most of them sourced local high-quality seafood for their prepared dishes.